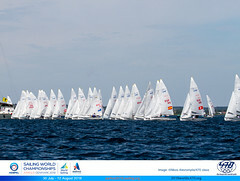 2015 will see five major 470 Class Championships hosted and organized by the International 470 Class Association in partnership with our local Organizing Committees: the 2015 470 World Championships, 2015 470 Junior World Championships, 2015 470 European Championships, 2015 470 Junior European Championships and 2015 470 Masters' Cup. The 2015 racing season kicks off with the 470 European Championships in Aarhus, Denmark from 27 June-4 July. 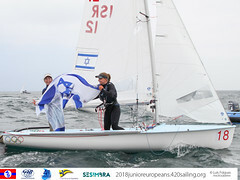 The first of the two 470 Junior Championships will take place in Thessaloniki, Greece from 24-31 July with the 470 Junior Worlds. Please note that from 2015, the age limit has increased to under 23 years old. 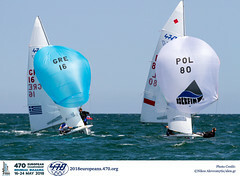 A short one week gap, and the 470 junior fleet will meet again in Bourgas, Bulgaria for the 2015 470 Junior European Championships from 8-16 August. The racing focus will then move to the ever popular Masters competitors who will compete at the 2015 470 Masters' Cup in Tihany, Hungary from 2-7 August 2015. The 470 Championship racing season will wrap up with the 2015 470 Worlds in Haifa, Israel from 10-17 October. World Championship glory and Olympic qualification slots will be on offer. Click on the links below to visit the Championship websites.